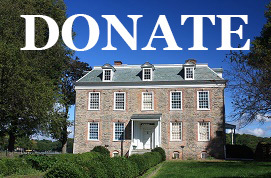 Van Cortlandt House Museum - Welcome to the Van Cortlandt House Museum website. Detail from a watercolor and gouache painting of Van Cortlandt House by architectural delineator Francis L.V. Hoppin c. 1917. Van Cortlandt House Museum has many stories to tell. ﻿Stories from the earliest years of New Amsterdam. ​Stories of one family’s role in helping to secure the future of New York. Stories of the illustrious people who have walked through its doors. Stories of everyday people who contributed greatly to the meaning of Van Cortlandt House. Stories of Van Cortlandt House Museum's past, present and future. Share YOUR Van Cortlandt House Museum story on social media with the tag #vchmnyc.